Join us for one of the most exhilarating experiences of a lifetime. 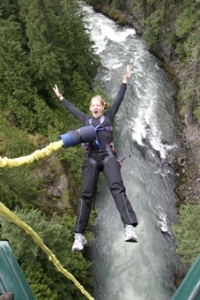 Let your heart pump as you plunge 160 ft off a suspended bridge into the depths of the the valley . 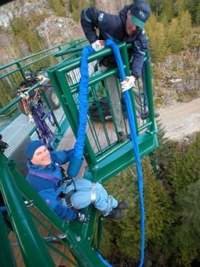 Experienced good, honest and dependable people with over 27 years of safe bungee jumping operations. Being the North America's first ever commercial bungee jumping operator, your trip will be a safe, organized and completely adventurous experience.